Are you looking for a fun activity for a day with friends or a stag/hen night? 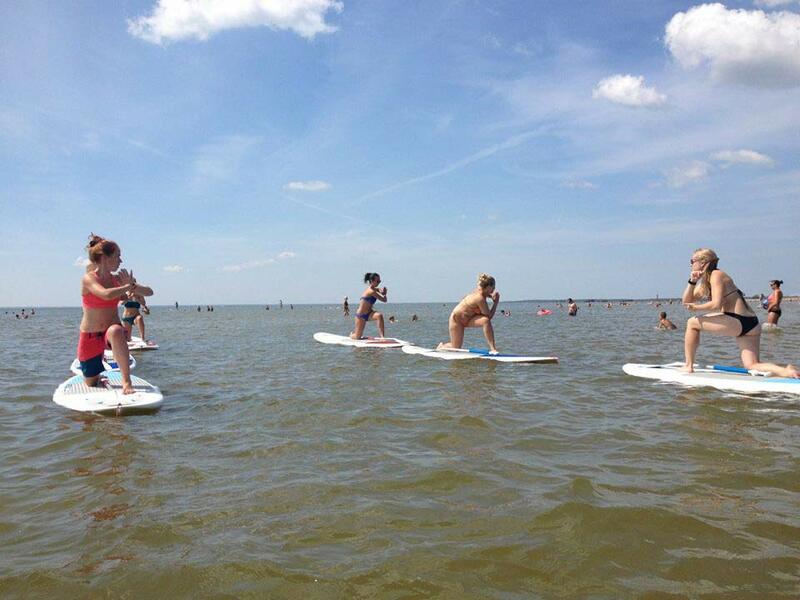 SUP yoga is a yoga class, instructed by a yoga teacher in the shallow end of the sea on SUP boards. The training does not require previous familiarity with yoga elements or any physical preparation. This is a fun activity where falling into water and finding balance again creates a lot of excitement. The price starts from 310 € that includes equipment for 10, an instructor and Aloha terrace usage. Café Aloha is open so if you wish, you can have a meal or enjoy refreshing drinks. © 2019 Aloha | All rights reserved.